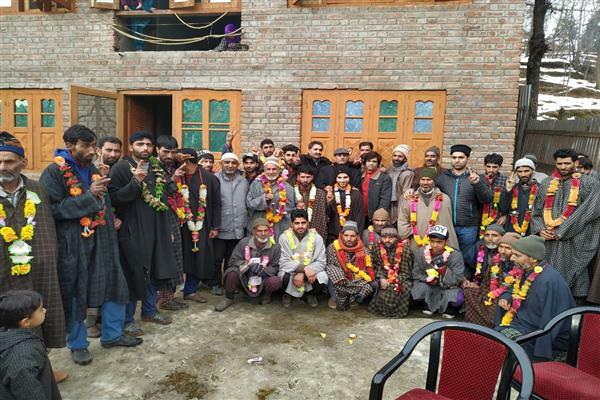 Kupwara, Jan 15 (KNS): A contingent of political workers of PDP and NC from Khumriyal Kupwara has joined People’s Conference, a PC spokesman said on Tuesday. “Around 50 political workers joined PC and pledged their support to the slogan of Change raised by People’s Conference,” the spokesman said. “We welcome the new entrants to the party. We have to collectively work towards leading a mission of change and people-friendly activism from the forefront in line with the party’s goals for Kupwara,” the spokesman quoted the PC constituency head Handwara Ashiq Hussain as having said.